Location, Location, Location! 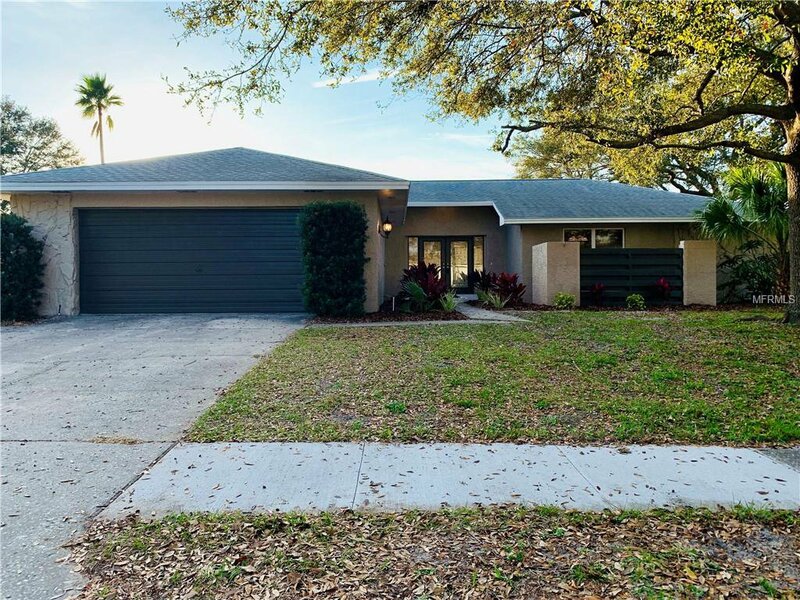 Come and take hold of this gorgeous home located in the beautiful neighborhood of Spanish Acres in Dunedin. This home is completely remodeled from head to toe and features many modern amenities. From the moment the doors open, you will be in awe! You fill first take notice of the living area, with a beautiful view of the lanai; which is perfect for entertaining. The oversized living room is ideal for spending quality time with family and occasionally enjoying the fireplace on a brisk winter evening. Stroll in to the kitchen, observe the gorgeous granite counter tops, stainless steel appliances and walk in pantry. The large master bedroom is a perfect place to relax and enjoy the view of the pool. The master and hall bathrooms are completely remodeled and feature stylish granite countertops, new tile floors and showers. Furthermore, the roof and AC unit are both relatively new, ready to keep you and your family dry and cool during the summer. Located minutes from the Gulf beaches, this a perfect home to enjoy our coveted Florida weather. This rare gem and will not last long, come and check out your stunning new home before it is gone! Listing courtesy of REALVEST FLORIDA LLC. Selling Office: CELTIC REALTY.